Netwok Bulls is the Cisco certification training institute in India. Institute was started its journey in the year of 2009. Now it has became most preferable Cisco training institute in North India. More than 40 countries students have completed their certifications from Network Bulls. Institute deals with CCNA Routing and Switching, CCNA Security, CCNA Collaboration, CCNP Routing and Switching, CCNP Security, CCNP Collaboration, CCIE Routing and Switching, CCIE Security, CCIE Collaboration, Data center certifications and MCSE training. Institute have Asia's biggest lab for Cisco training and opens for 24 hours for students. Institute have big pool of CCIE trainers with excellent training quality. Students passed out from Network Bulls are working with Top MNC's in India and foreign countries. If you have pursued B-Tech, BCA, etc or even any non-technical courses and are still confused which Cisco course to opt, then don’t get worried because we know your concern! Network Bulls has designed its own customized courses- CCIE Routing and SwitchingIntegrated and CCIE Security Integrated course program. These courses have been designed in order to make students employable and master them in networking technology. If you want to pursue Cisco certification and are still confused which Cisco integrated course to pursue, no worries. Below is the comparison image of CCIE R&S Integrated course V/s CCIE Security Integrated course that can help you to understand better. Whether a candidate is from technical/ non-technical background, Network Bulls makes sure everyone is employable. 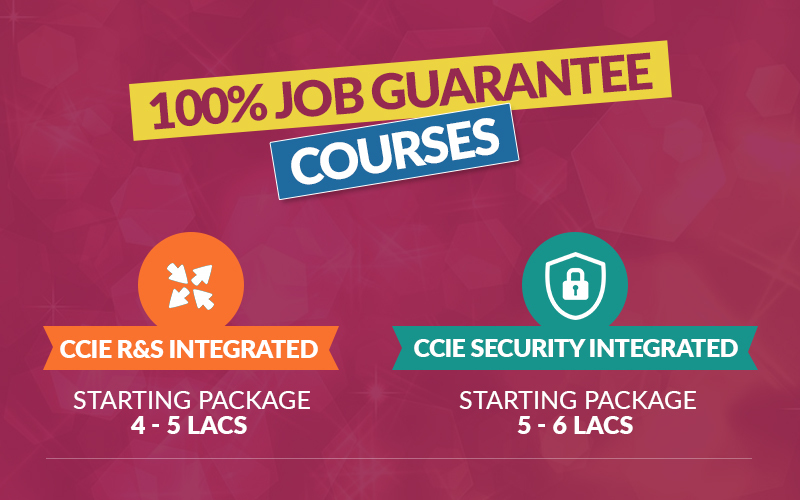 The institute offers 100% job guarantee assurance to its students who enroll in any of the integrated courses. The courses include- CCIE R&S Integrated and CCIE Security Integrated certification program. CCIE R&S integrated course is a perfect combination of CCNA R&S, CCNP R&S and CCIE R&S. Whereas, if you enroll in CCIE Security, you get to learn CCNA Security, CCNP Security and CCIE Security course programs. Network Bulls also provides 100% job guarantee assurance letter to its students who get enrolled in any of these integrated courses. The intensive training model for CCIE R&S Integrated training and CCIE Security Integrated training has especially been designed and launched for freshers by Network Bulls which is mainly based on practical assignments. In this methodology, candidates will spend 9 hours per day at our institute, acquiring rigorous theoretical, practical and personality grooming sessions. These are the reasons 95% students get Job Placement without passing CCIE Exams. You’ll get amazed to know that every 3rd Network Engineer in Delhi/NCR is or was the student of Network Bulls. CCIE R&S Integrated and CCIE Security Integrated certification have a direct link to abroad because many IT giants companies are situated in overseas and they welcome CCIEs with open arms. This is the reason more than 30% of 5 years old students from Network Bulls are working abroad today. Thus, CCIE certification courses include lots of learning and practicing. Being a difficult level of certification, this can be only achieved if a candidate hashigh aspirations to achieve his/her dream goals. Many candidates take it as a challenge and transformed their lives. Don’t worry friends, the scope of CCIE is wonderful. You just have to be dedicated and hard-working towards your learning. Decide which course you can do better and has more growth opportunities and make your career fly! Just completed your engineering exams and are you looking forward to making your career in the IT sector? Well ! That is good, but we can understand that there must be a number of disturbing thoughts in your mind. With the recent layoffs in the IT and other industries you may wonder if this will be the right choice to make or not. I want to assure you that this could be a lucrative and a growing career option if you make the right choices from the very beginning. Keeping your goals in your mind. You must opt for networking programs as there is huge demand for these courses if you possess the RIGHT SKILL !! If you are looking for a good networking course, then you must select CCIE Data Center Training where CCIE stands for Cisco Certified Internet Expert. This is an expert level program which has lot of demand in the networking industry. The CCIE Data Center course involves conceptualization, maintaining, monitoring and troubleshooting networks of data centers. The CCIE Data Center Training involves a written exam and a lab exam of 8 hours. The candidate first needs to clear the written exam which is the first step. This exam is of two hours. Next is an eight hour lab exam which is really tough to crack. The person who wants to opt for the course in the CCIE Data Center need not have any previous certifications. But he needs to have good knowledge of CCNA and CCNP data center. Your search for the top CCIE data center institute in India ends with Network Bulls. There are a number of reasons due to which one must select this training institute. 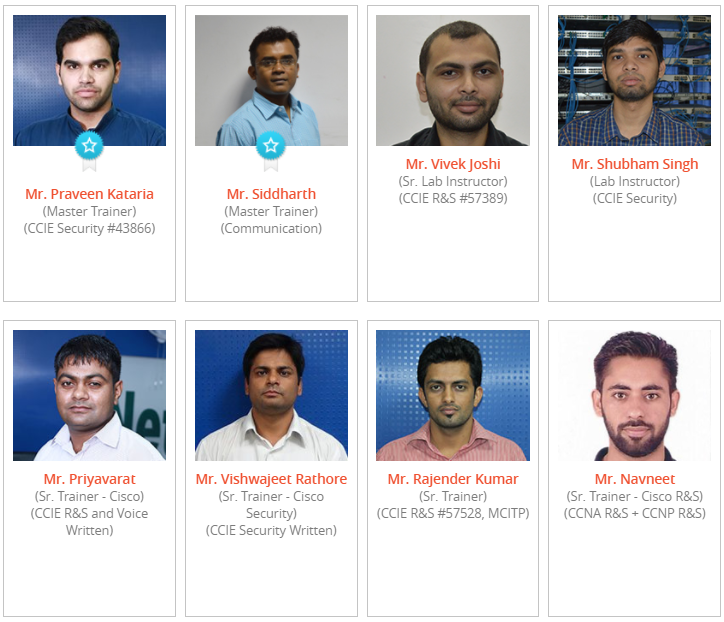 They have experienced and good faculty who have CCIE certification. They have state of the art infrastructure and one of the best IT training labs. Their CCIE Data Center Training lab has real CISCO devices. They have plenty of devices. So all the students get hands-on experience and plenty of chance to practice. Now this is one of the best things because only if you keep practicing with real devices, then you can clear even the toughest of lab exams. This institute provides intensive coaching in CCIE and CCNP data center training. They cover all the various aspects of designing, implementation and troubleshooting of CCIE Data Center Training. This includes external fabric connectivity, network services, service insertion, configuration of DC storage protocols, DC infrastructure, infrastructure implementation policies, DC automation, internal fabric connectivity etc. As you can see they have a very good training courseware and this is also one of the reasons that Network Bulls is one of the best institutes for CCIE Data Center training in India. In any institute the BIGGEST hurdle is TRAINERS and LAB ACCESS ! Well Network Bulls will help you to overcome that too ! CCIE Expert teachers out of which some our double certified with 5+ years of experience. Talking about LABS then you don’t have to worry in that too as you will get 24 by 7 access with real cisco devices and NO simulators ! Summing up, let us know WHY NB and not any other institute. Here, we are giving you 15 reasons to join Network Bulls for your bright career. assistance and 100% Job Guarantee. As you can see if you make the right choices then you can have a really flourishing career in the IT industry. There is a lot of demand for networking professionals in this industry and there are very few people who have this certification. However, the CCIE Data Center Training exams are difficult and so you need to get proper training from a premier institute like Network bulls. Networking certification courses have gained immense importance in today’s technologically driven era. Millions of students and working professionals decide to pursue networking courses for building a shining career in the IT industry in quite a short span of time. If you are planning to pursue networking training then enroll at India’s best networking training Institute – Network Bulls, Gurugram. Don’t enroll just because we are saying so but read Networkbulls’ students feedbacks, know in detail about the institute and then take your decision. Network Bulls has reached the pinnacle of success in just a short span of seven years. Network Bulls is Cisco’s premium training partner and provides beyond excellence training to students. Our competitors find it hard to compete with us as they are not able to match our high standards of training, facilities etc. Access to in-house workbooks, ebooks etc. As known to the world, Network Bulls has been honored with the multiple awards for best placement record in the industry. Now, there remains nothing to say about the glorious past of NB. 15500+ students have been placed with top IT MNCs such as CSS Corp, British Telecom, Aricent etc. Over 90% of students pass Cisco CCIE examination in the first attempt only. 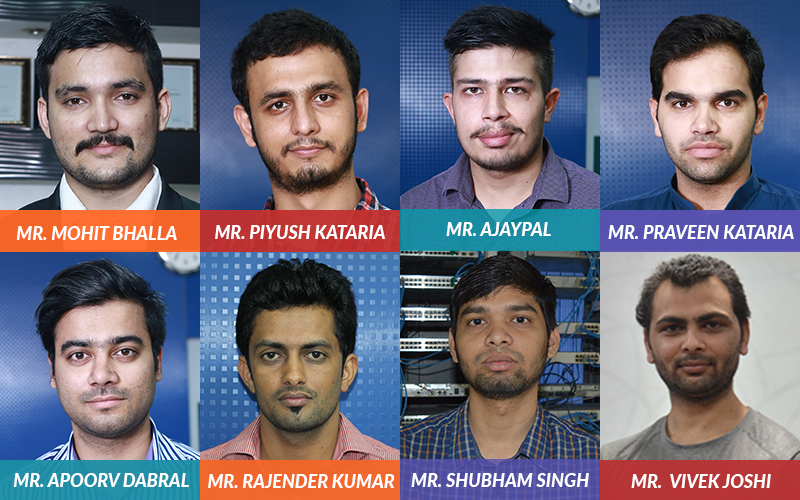 80% of students at Network Bulls get placed even without appearing for Cisco CCIE examination. Students are the best mirror of any networking training institute. Thus, in order to be sure about your decision search the web for Networkbulls’ student feedbacks. You will get hundreds ofNetworkbulls’ student feedbacks, reviews, and video testimonials. Are you worried about the fake complaints on the internet? Well, some of you may claim that you have come across few complaints against this institute. You can rest assured that these complaints are fake and fraud. These are Networkbulls fake complaints are circulated by competitors who are not able to match the high standards of training at NB. These complaints are written with the aim to defame the reputation of best networking institute in India. If you analyze these fake complaint and reviews properly then you will come to know that these are not written by students. These are SEO friendly which is written by professionals with the sole motive of defaming the reputation of NB. Hope, now you know the truth behind Networkbulls fake complaints. If there still persist any doubt, visit NB and talk to students directly. If you are planning to pursue Cisco Data Center Certification training in India, then search the web for best networking training institutein India. Network Bulls –India’s No.1 networking institute and Cisco’s premier training partner is one of the best optionsfor you. The institute has recently launched Data Center Certification training in India. Network Bulls is the Cisco Authorised training institute and strictly follows the blueprints provided by Cisco for providing the training. It covers the official course curriculum provided by Cisco. Thus, post completion of your course, you will be eligible to appear for Cisco DC certification exam. An experienced trainer is a necessity for developing a crystal clear understanding of the technology. Network Bulls has the biggest team of Cisco CCIE certified trainers with 5 to 15 years of experience in the industry. Thus, you get the guidance of experts in the industry who are always ready to help students. You can get your doubts cleared instantly developing an in-depth understanding of the technology. As known to every Cisco aspirant that for cracking the Cisco CCIE Examination one needs to know the practical implementation of the technology.Network Bulls is the only networking institute which provides thelatest infrastructure for CiscoData Center Certification training in India. Theyprovidetraining on latest DC devices which will help you to learn the real-time utility of the technology. Awards are the testimony of being excellent in the industry and Network Bulls has bagged more than 14 awards in just a short span of 7 years. NB has been honoured for providing beyond excellent trainingas well as for highest placement record in the industry. NB aims at imparting the best training in the industry and making candidates an expert in their domain of networking. This certification is pursued by networking candidates as well as by working professionals. Evening and weekend batches are one of the major requirements of the candidates looking forward to pursuing the certification along with the job. It is to be noted that this certification is best for the candidates having atleast one year of working experience in the networking industry. Thus, NB provides weekend and evening batches to match the requirement of the working professionals. These were few of the reasons which make NB the best networking institute for pursuing DC certification course. NB provides all the three DC courses i.e. CCNA Data Centre, CCNP Data Center, CCIE Data Center. So, if you are looking forward to starting from the basics thenalso it is the best place for you. Cisco certification courses are highly recognized certification courses in IT industry and greatly demanded by big IT giants all-round the globe. 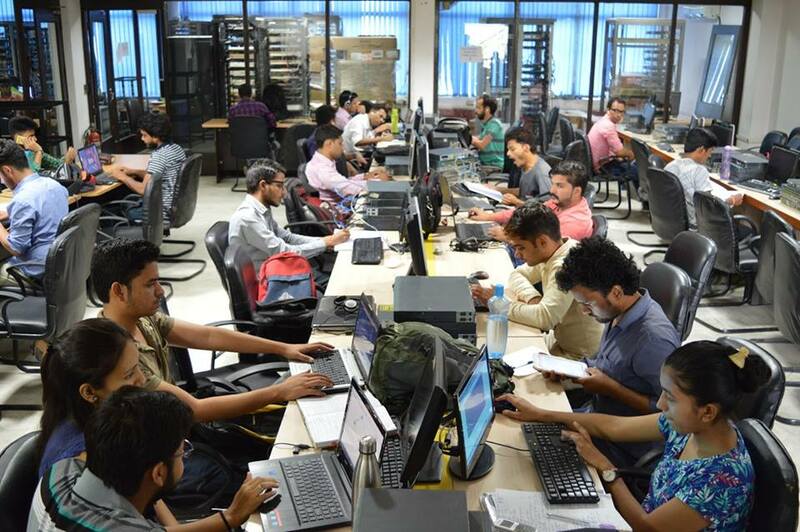 Students from India as well as from different parts of the world search for the best Cisco training institute and Network Bulls never fails to top their list. Hundreds of students enroll at NB, learn networking, give wings to their career and provide their reviews about NB training. If you are searching for the best networking institute and want to be sure of your selection then search the web for Networkbulls’ reviews. You will find hundreds of Networkbulls’ reviews given by our ex-students. There are thousands of positive reviews available over different social media platforms. Although while scrolling the Networkbulls’ reviews, you might come across Network Bulls’ complaints which are very rare. Network Bulls’ complaints are generally written by the competitors and therefore you will not find such complaint via any authenticate ID. Network Bulls’ complaints by students are very rare as students at NB has right to make complaints and these complaints are resolved within three working days. Thus, Network Bulls’ complaints are generally fake and fraud, written by the competitors who find it impossible to match our high standards of training.